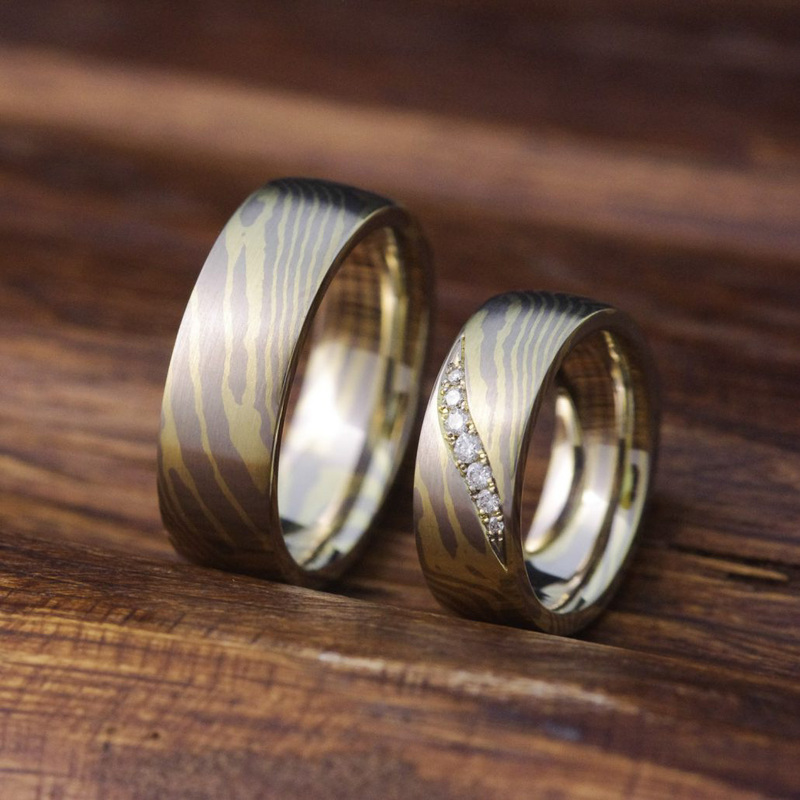 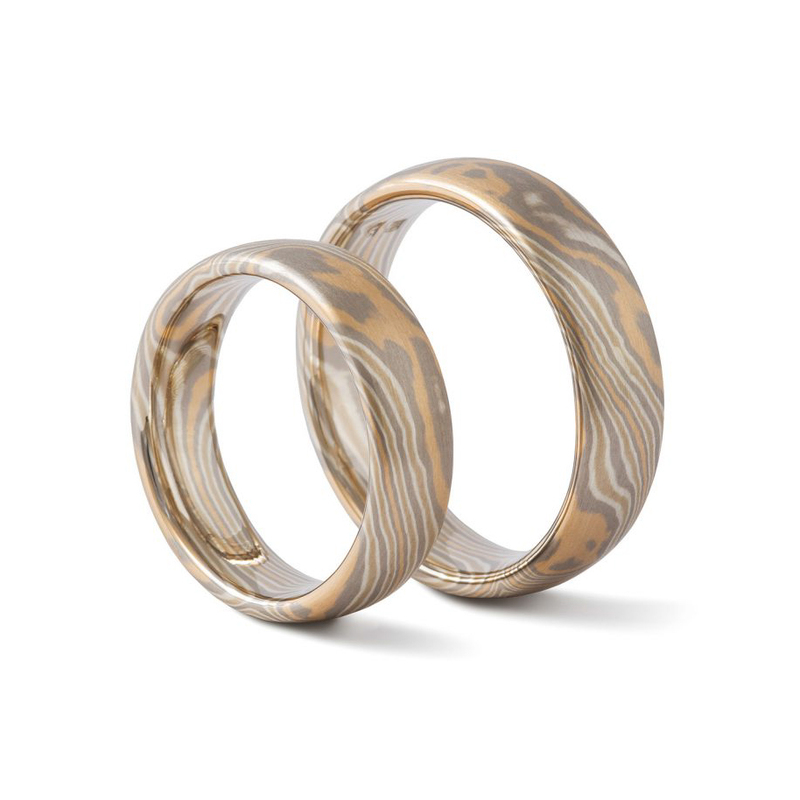 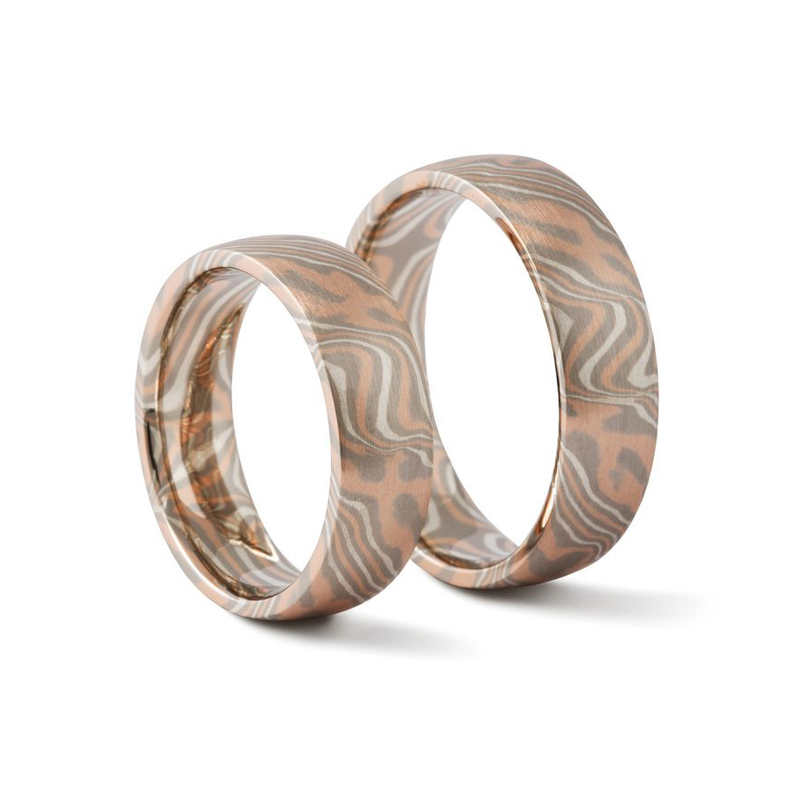 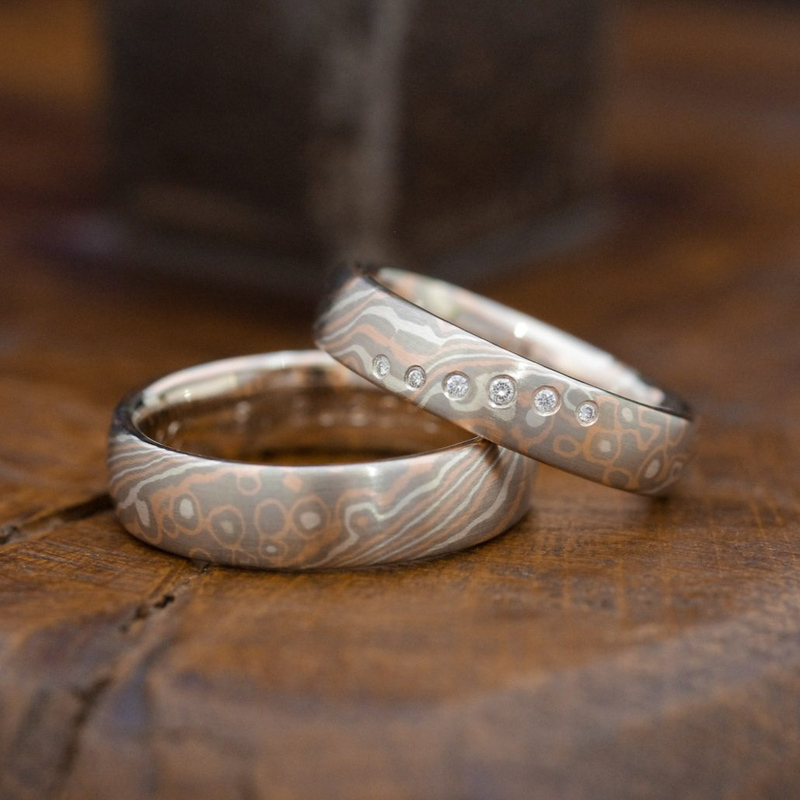 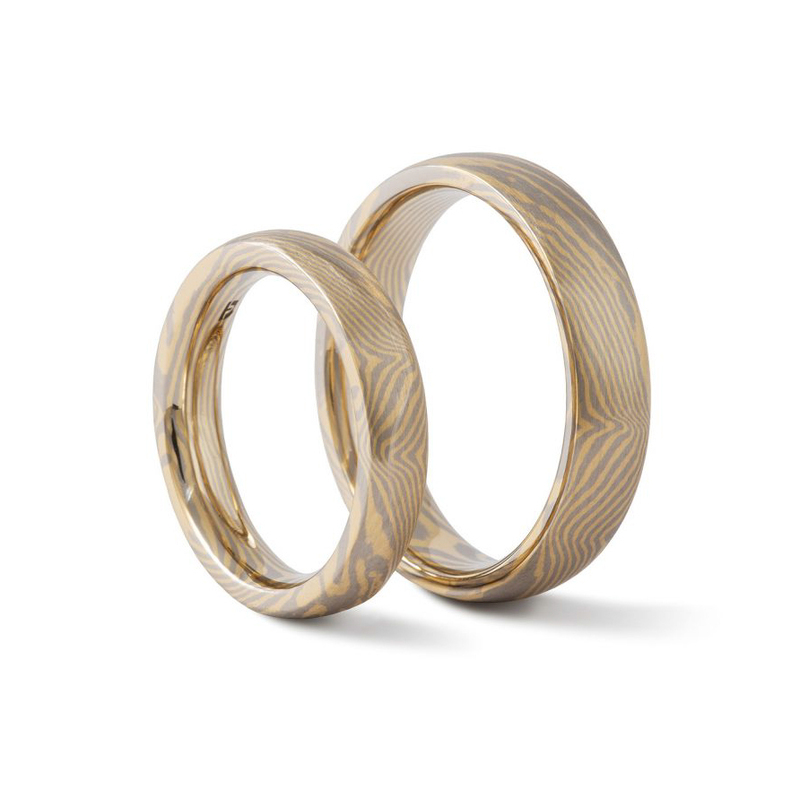 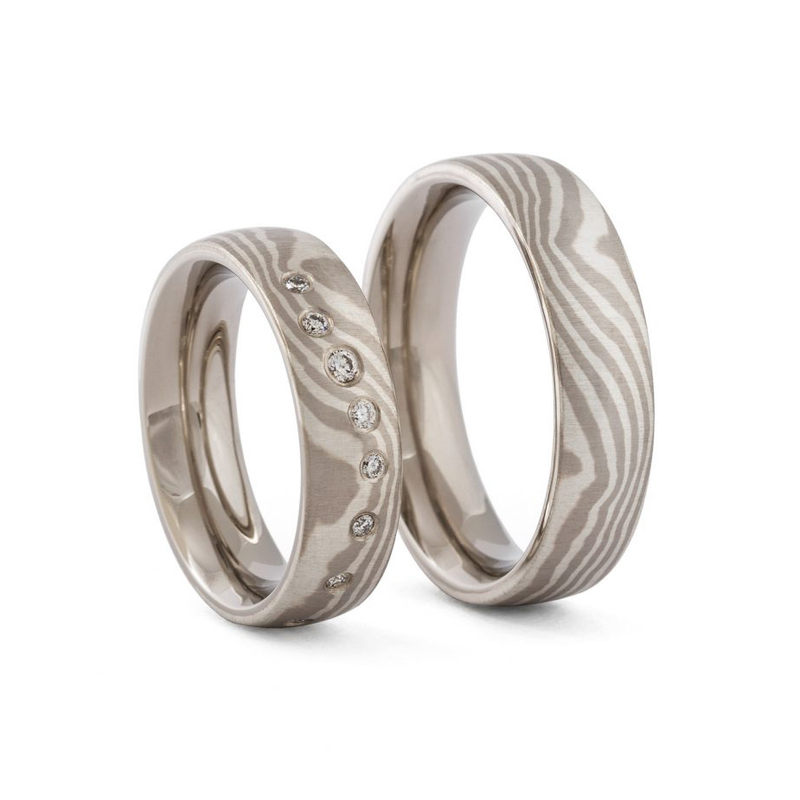 Mokume Gane – (literally „wooden eyes“) means „wood grain“ and „metal“. 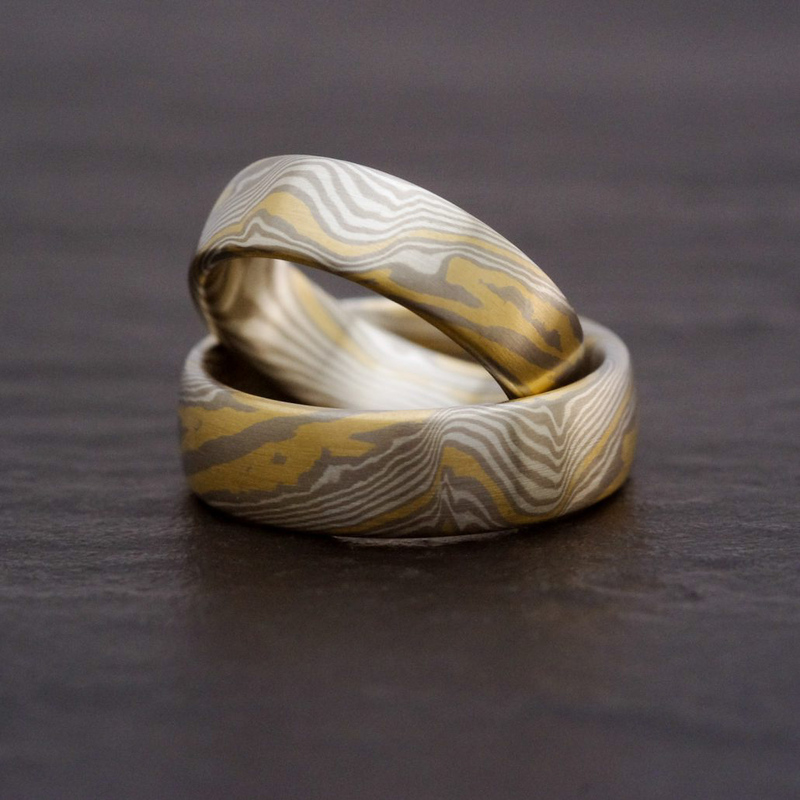 The Japanese welding technique Mokume Gane is an art very few goldsmiths master since it is not part of the formal training. 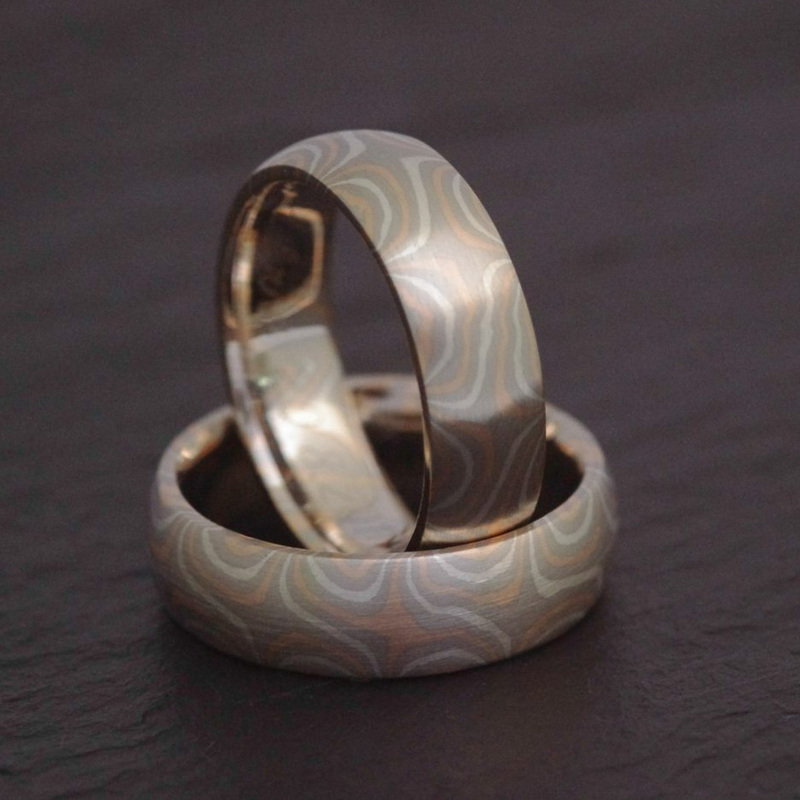 The only way to acquire this skill is to teach yourself – like I did – or with the help of a recognised Mokume Gane master. 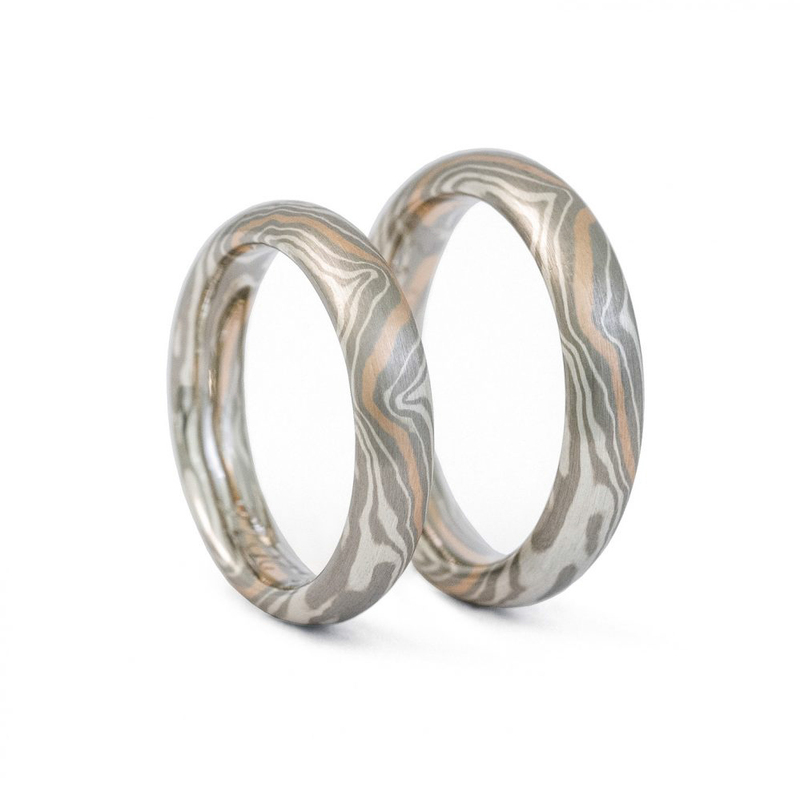 Producing a flawless Mokume Gane piece of jewellery requires both craftsmanship as well as experience. 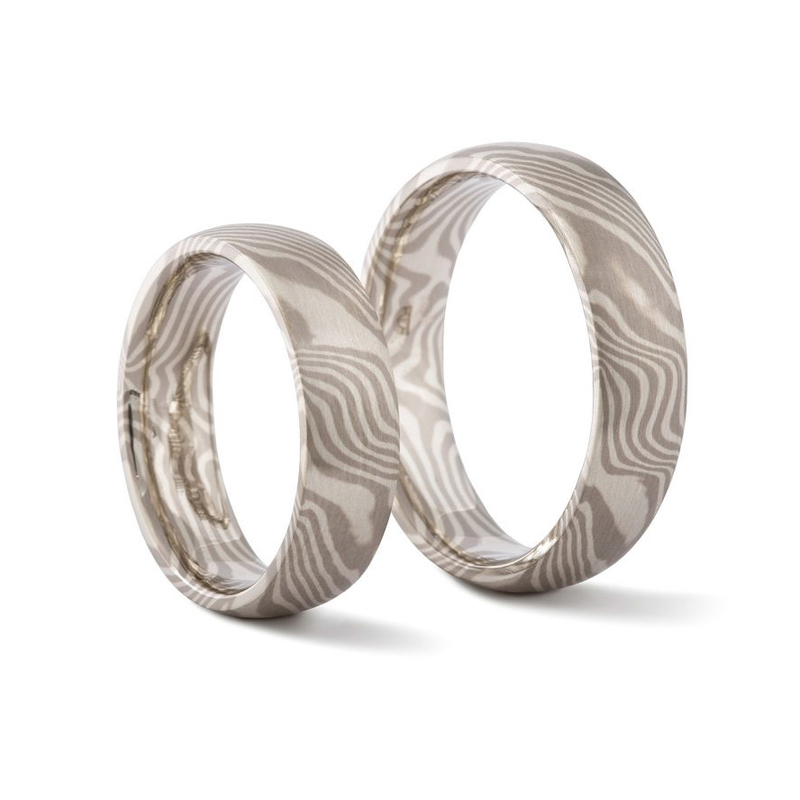 A number of successive steps – following an ongoing dialogue with the material – produce a truly unique result at the end. 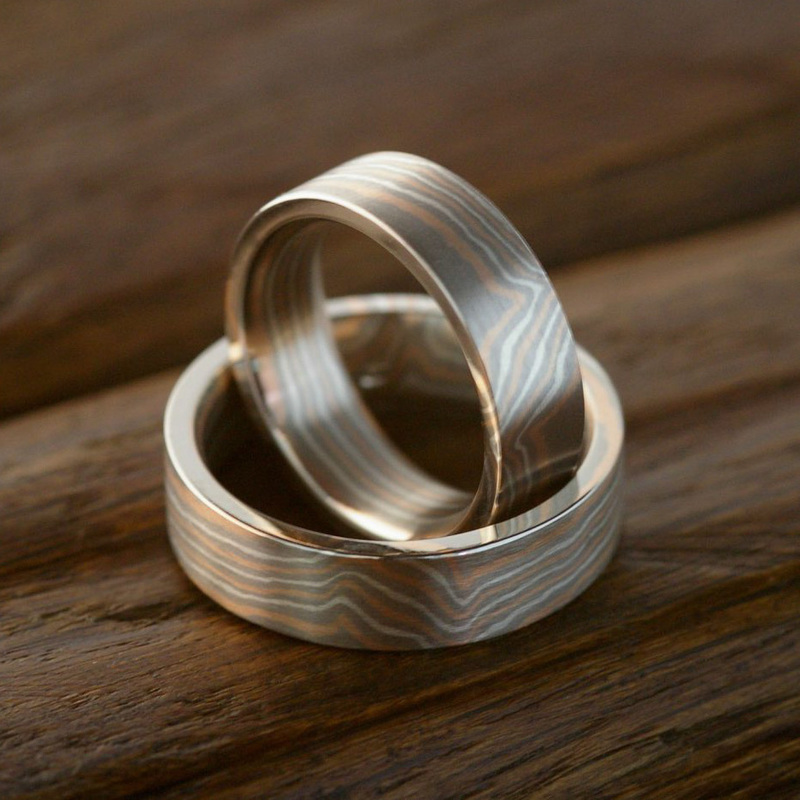 For this, I stack thin precious metal sheets of different colours and weld them together. 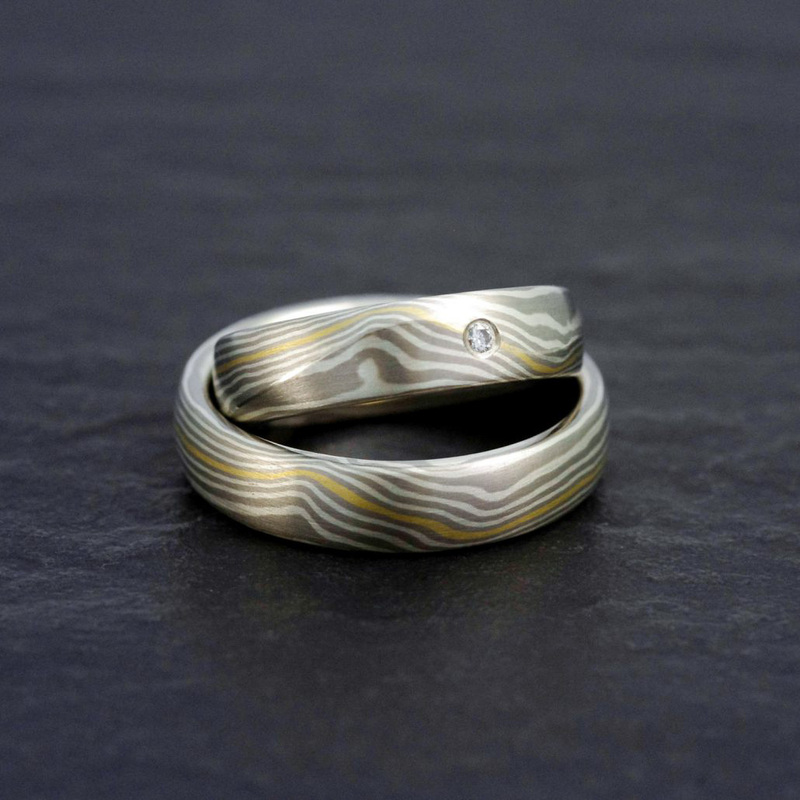 This layered cube will then be transformed through a range of diverse steps from twisting to welding to rolling it into a piece of jewellery with an extraordinary pattern. 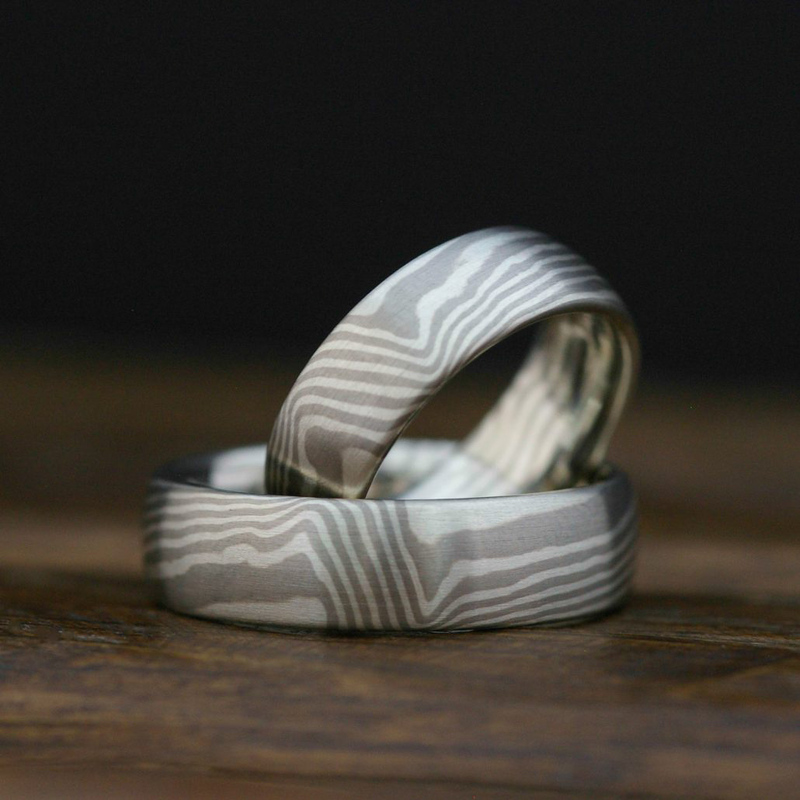 Depending on its complexity, creating a seamless ring requires up to two working days plus plenty of patience and physical engagement. 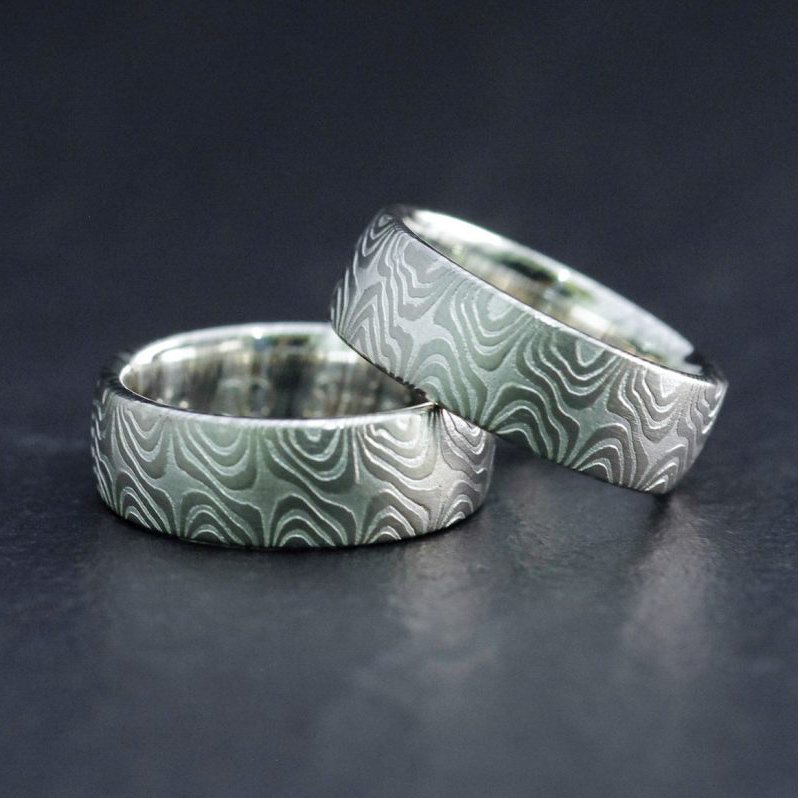 That said, the unique pattern which reveals itself at the very end of the process is a truly magical moment: time and again, it inspires and fascinates me anew.